OUR HOME WILL DEFINITELY "WOW" YOU! ITS YOUR LUCKY DAY.... OUR HOME IS BACK ON THE MARKET! PLEASE IGNORE DAYS ON MARKET - AS IT WAS UNDER CONTRACT FOR SOMETIME. 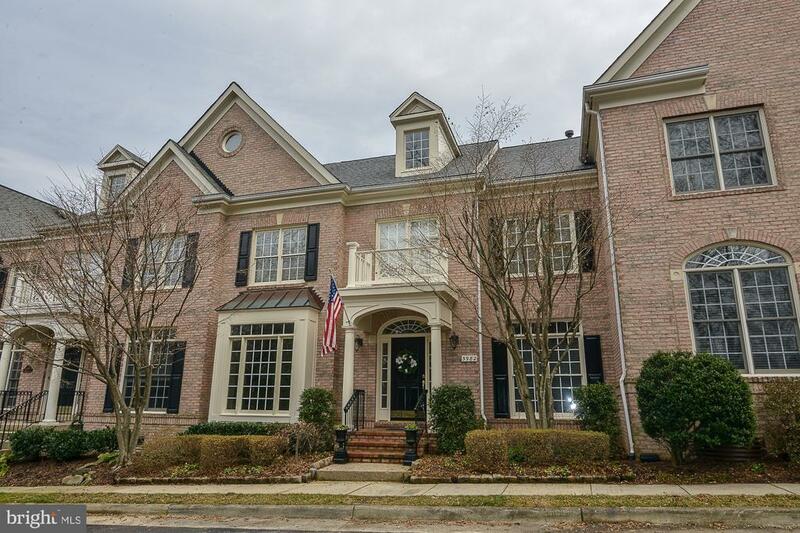 FARRCROFTS BEST - PRISTINE 3 Finished Level Courtyard home in Old Towne Fairfax * 2 CAR GARAGE * 3/4 BR * 4.5 BATHS * 2 GAS FIREPLACES * OVER 3, 000 FINISHED SQ. FT * BRAND NEW ROOF AND PORTICO (2019) * HVAC (2011) * WASHER & DRYER (2017) * STAINLESS STEEL APPLIANCES (2015-2018) UPGRADED * CUSTOM MOLDING THROUGHOUT * EXTENSIVE ARCHITECTURAL DETAILS WITH HIGH END FINISHES TO IMPRESS * CHEFS GOURMET KITCHEN * NEWER TOP-OF-THE-LINE STAINLESS STEEL APPLIANCES * GORGEOUS 42" MAPLE CABINETS * GRANITE * CENTER ISLAND * GAS COOKING ON 5 BURNER COOKTOP * 2 STORY FAMILY ROOM WITH 24 HIGH WALL OF WINDOWS * CORNER GAS FIREPLACE * FAMILY ROOM OPENS TO PRIVATE BRICK FENCED PATIO WITH STONE WALL AND MATURE SHRUBS * SEPARATE DINING ROOM WITH BAY WINDOW, HARDWOOD FLOORS & LOVELY PARKLAND VIEW * CHARMING LIVING ROOM WITH HARDWOOD FLOORS & SERENE TREED VIEW UPPER LEVEL FEATURES 3 HUGE BEDROOM SUITES EACH WITH ITS OWN PRIVATE BATHROOM * MASTER BR WITH SITTING AREA * TWO ENORMOUS WALK-IN CLOSETS * TRAY CEILINGS * STUNNING MASTER BATH WITH SOAKING TUB AND SEPARATE SHOWER * SECOND BEDROOM (15 x 12) FEATURES NEWER $15K TUB/SHOWER * THIRD BEDROOM BOOSTS AN ENORMOUS WALK-IN CLOSET * LOWER LEVEL FEATURES * RECREATION ROOM WITH GAS FIREPLACE * FULL BATHROOM * TWO ADDITIONAL HUGE ROOMS (EXERCISE, OFFICE, DEN/BR) * SEPARATE STORAGE ROOM WITH CUSTOM BUILT-IN SHELVING * MAINTAINED TO PERFECTION AND UPGRADED TO IMPRESS * IDEALLY LOCATED IN OLD TOWN FAIRFAX CITY CLOSE TO SHOPPING, RESTAURANTS, AND PARKS! FARRCROFT IS A FIRST CLASS COMMUNITY FEATURING JOGGING/WALKING TRAILS, COMMUNITY POOL AND SO MUCH MORE * FIRST TIME ON MARKET - OLREA IS ORIGINAL OWNER * GET READY TO FALL IN LOVE! Directions: 495: West on 236 which becomes Main Street in FFX City, Right at light into Farrcroft Community on Farrcroft Drive, Left on Ballynahown Circle to the very end, Veer right to 6th Brick Courtyard Home on the Right (American Flag proudly flying in front). Look for the Pearson Smith Realty Sign in Front of Home.